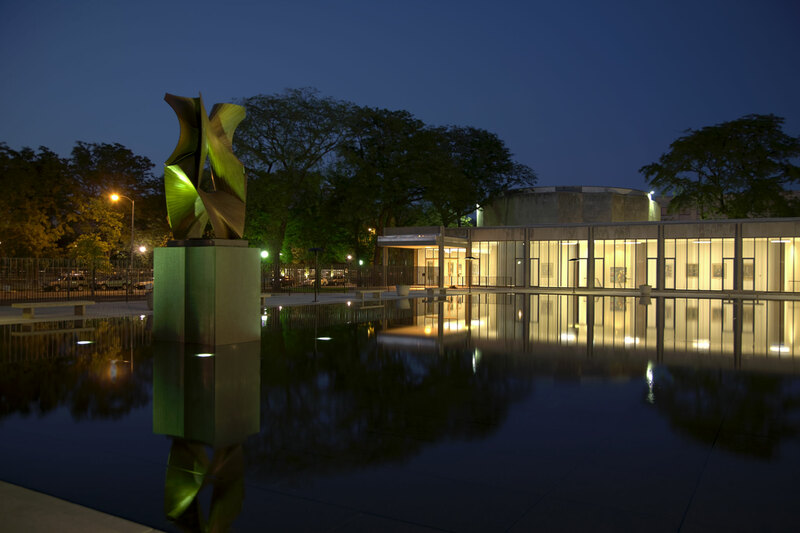 Delta Fountains renovated the 40 year old reflecting pool outside the University of Chicago Law Library. 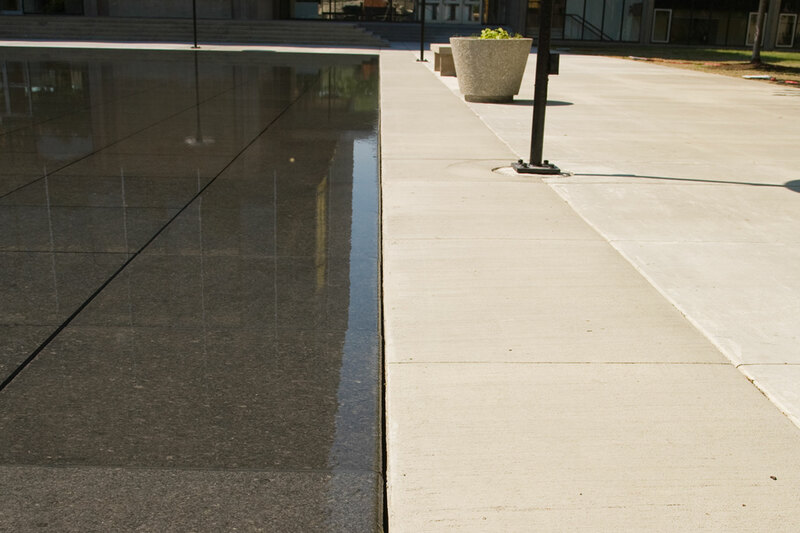 The "zero depth" reflecting pool has only a one-quarter inch water flow over the granite surface. 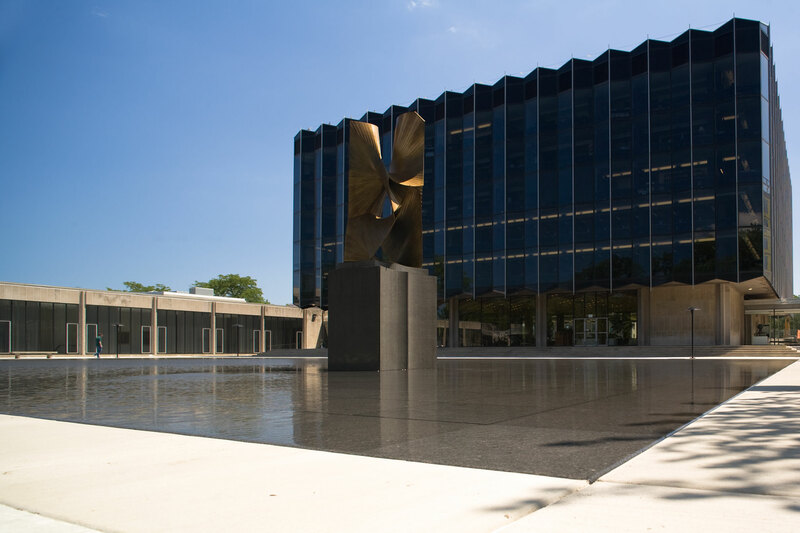 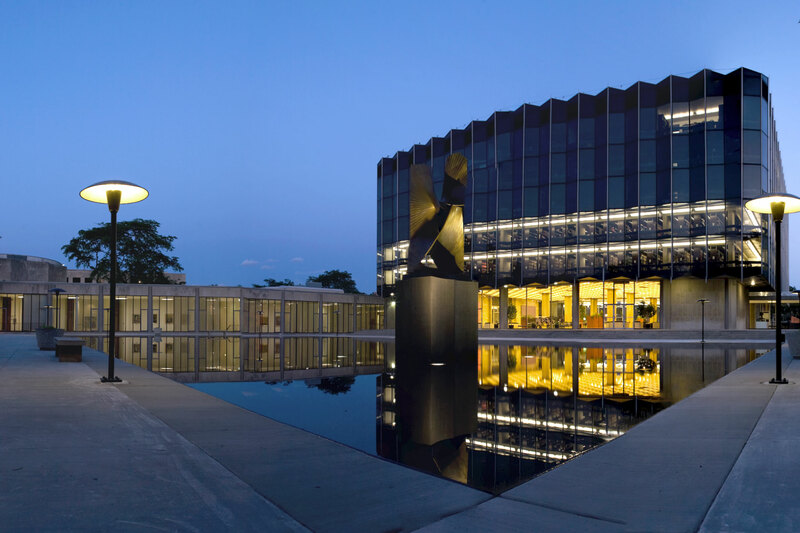 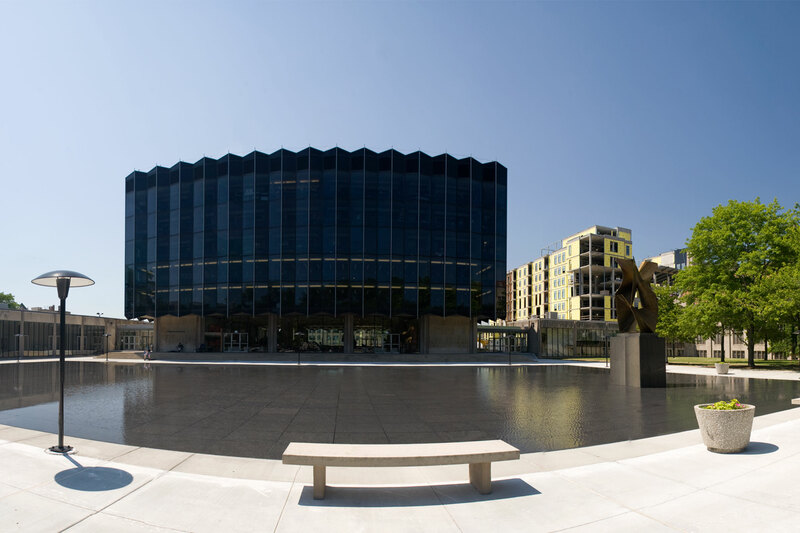 The renovated reflecting pool at the University of Chicago Law Library provides mirror-like reflections of the surrounding architecture with only one-quarter inch of water covering black granite pavers. 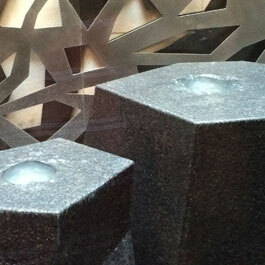 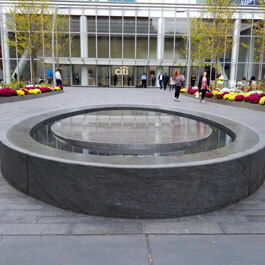 When not in use due to weather, the design appears as a dark stone plaza, rather than an empty basin. 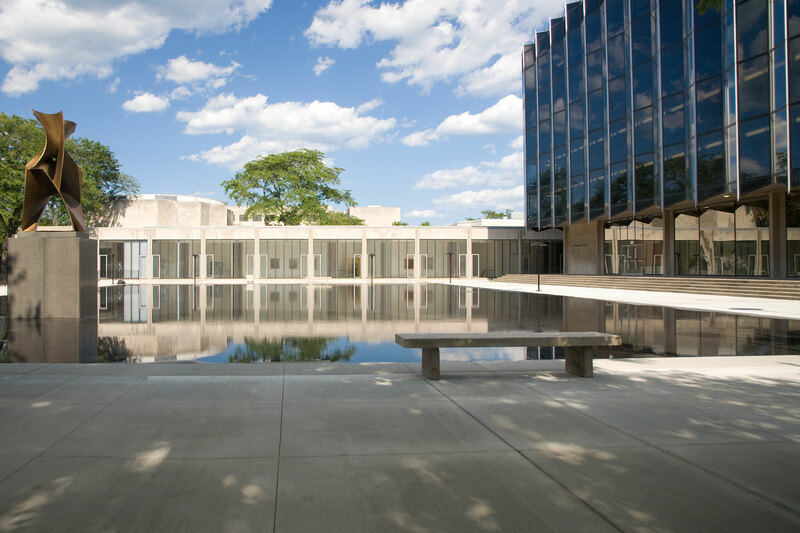 To renovate the 40-year-old feature, and yet respect the original design, the architect chose a “zero-depth” pool, which required a uniform elevation of the stone pavers over the entire area. 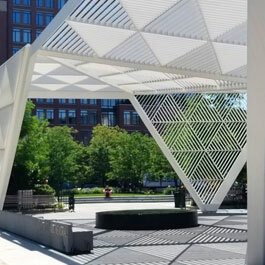 In addition, a re-circulation system had to be designed to move the water slowly enough to maintain the appearance of a motionless sheet of water. 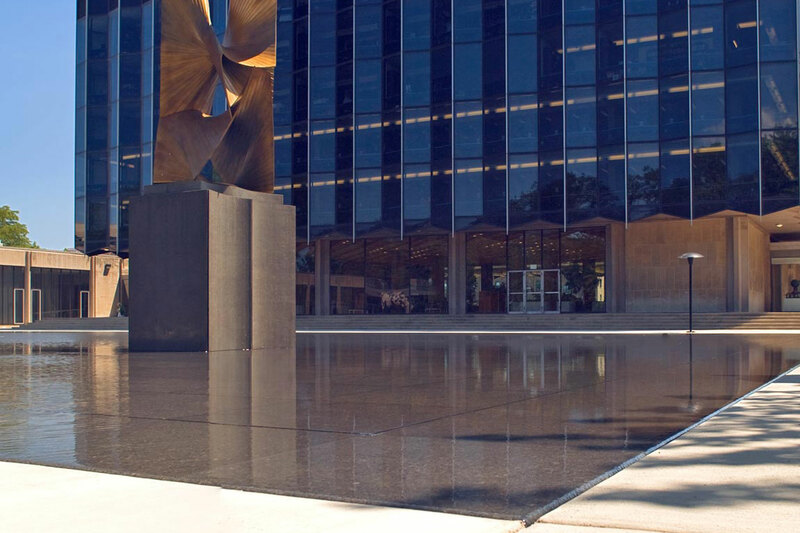 Delta Fountains supplied the electrical and mechanical design and all the equipment for the stationary water feature at the University of Chicago Law Library. 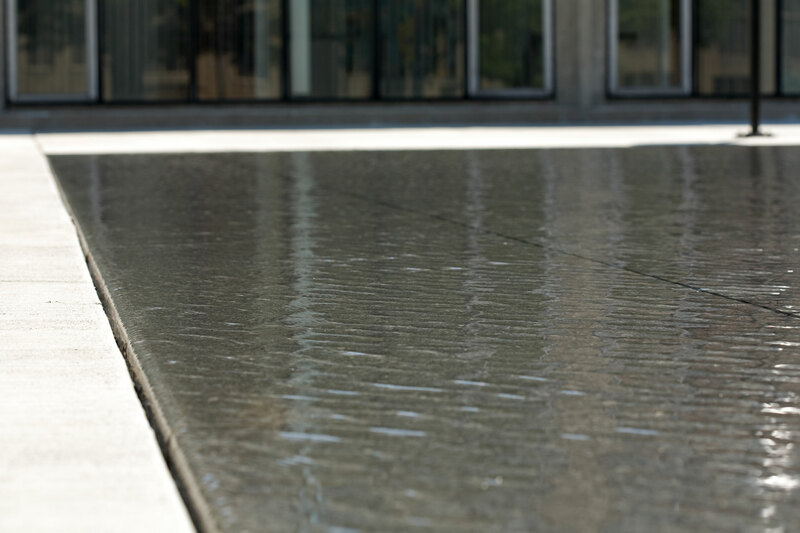 To design a re-circulation system that would produce a mirror-like pool surface, Delta Fountains created 30 six-inch discharge tees feeding the granite-topped reflecting pool, and surrounded the pool with a 474-foot negative weir edge. 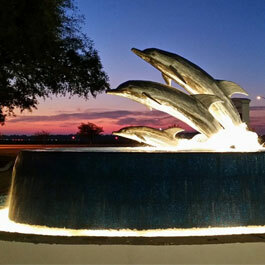 Each feature pump operates at a minimum pumping rate of 2,054 gallons per minute (GPM) at 30 feet total dynamic head (TDH).